Note: A winner has been selected and notified, thank you so much to everyone who entered. The book is incredible and I hope you love it. There are books that will move you. There are books that will challenge you. There are books that will give you practical ideas. There are books that will force you to reevaluate your practices and then offer you a new pathway. There are books that become heart books because you know that within their pages your heart was changed and you somehow became something more than you were before. And then there are books that are all of these things rolled into one. 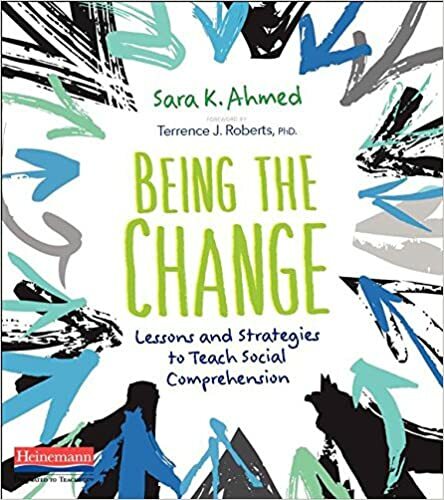 This is the case for Sara K. Ahmed’s book Being the Change: Lessons and Strategies to Teach Social Comprehension which is released today by Heinemann. Happy book birthday!! 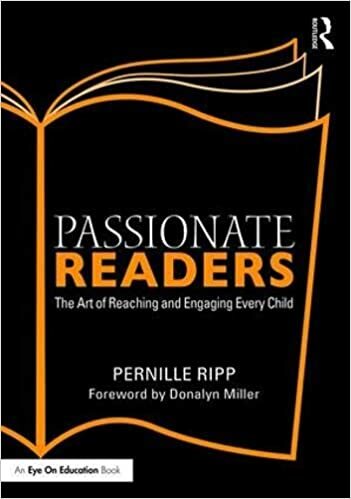 I was lucky enough to read an advanced copy of this book and I will tell you this; it has totally transformed my teaching plans for the final quarter of the year. That’s how powerful this book is. With stories, reflection questions, and also actual lesson ideas, this is the perfect package for anyone who wants to bring the world in and also navigate these tough topics with their students. I am telling you, this book is a game changer. And so because I want as many educators to discover and read this book, I am giving a copy away. This will be a quick giveaway ending March 30th already. All you have to do is leave a comment and I will pull a random winner. But in the meantime you really should order the book and then just enter the giveaway to have an extra copy. You won’t regret it. Each chapter includes clear, transferable lessons and practical strategies that help students learn about a targeted social comprehension concept. From exploring identity and diversity to understanding and addressing biases and microaggressions, Sara demonstrates how to address real issues honestly in the classroom while honoring and empowering students. I teach a middle school class on skills for adolescents. This sounds like a great resource! Being a change agent is never an easy role. I am looking forward to the lessons and strategies to teach social comprehension that this book promises. I cannot wait to read Being the Change! I’ve already ordered a copy and I’m hoping to win another for my teaching partner. Thanks for sponsoring the giveaway! Congratulations Sara! It was so nice to meet and visit NIST the other day! Mahalo!!! So excited to read this! Thank you, Pernille and congratulations, Sara! I love that this book is relevant and that it is practical, too. Addressing the social issues that are important to our students’ lives can be a challenge, but is essential. This is a much needed book. This book sounds like it belongs in every classroom! I would be interested in reading this! What’s the first strategy you are most looking forward to implementing? I would love this book! I want to bring the hard topics to my students’ attention, to have them think about them, talk about them, realize how they can change the world… but how? This book would help me! I can’t wait to read it. I have been in the classroom for over 20 years. I love that I am getting to see such change and acceptance in our students. This book sounds extremely relevant and useful. Excited to read and learn about lesson plans that I can try immediately. I just finished listening to Sara’s podcasts on Heinemann. I’d love to have this book to continue my learning! This sounds like a great book for an educator book club. would love to get a cooy for me but also to share in our school’s professional library. Can’t wait to read this one! Upstanders has become a go-to for me. Sounds like this will be, too. Thank you Pernille! I’m excited to read it already! I’m so excited to read this book and be uplifted! Can’t wait to learn more about how to talk about tough topics. This looks amazing! Thanks for sharing. I’m looking forward to reading it. Thank you, Pernille, for all you read, do, share, and inspire! Thank you for being such a positive voice of reason and an advocate for ALL students. Sounds like an amazing book, would love to read it! I would love to read this to learn more about how to have discussions like this with elementary aged students. 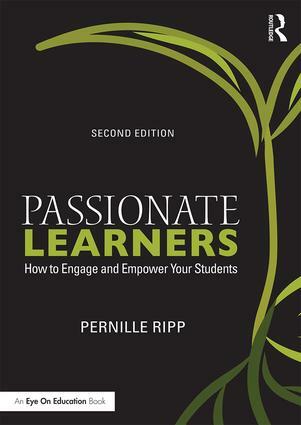 I just read the sample chapter of this book this week after getting an email from Heinemann. So excited for this one! This would be a great book to have in my tool box. Love that we have opportunities to be the change in our classroom. Sarah Ahmed has presented in several of our schools. She is both amazing and inspirational. You, Pernille, also do a great job of sharing your ideas and thoughts. This book sounds perfect for me! I’ve spent a lot of time this year working on social issues with my students! Thank you Pernille! Such a great resource! My school is placing a big focus on the social and emotional well-being of our community. Thanks for sharing, Pernille! I’d like to win a copy of this book! This sounds like a very useful, relevant, and timely book! I’m guessing this is US based but just in case it’s not, I’m always up for free books…apparently I buy too many according to my husband. I look forward to reading this book! Being the change is not an easy task, especially when everyone else is not ready for the change. Sounds like just what we all need. I would love to do a book study on it with some of my colleagues this summer. Thanks for letting us know about this book! Looks like a book we need as a PLC in our middle school. Maybe a book club this summer…?